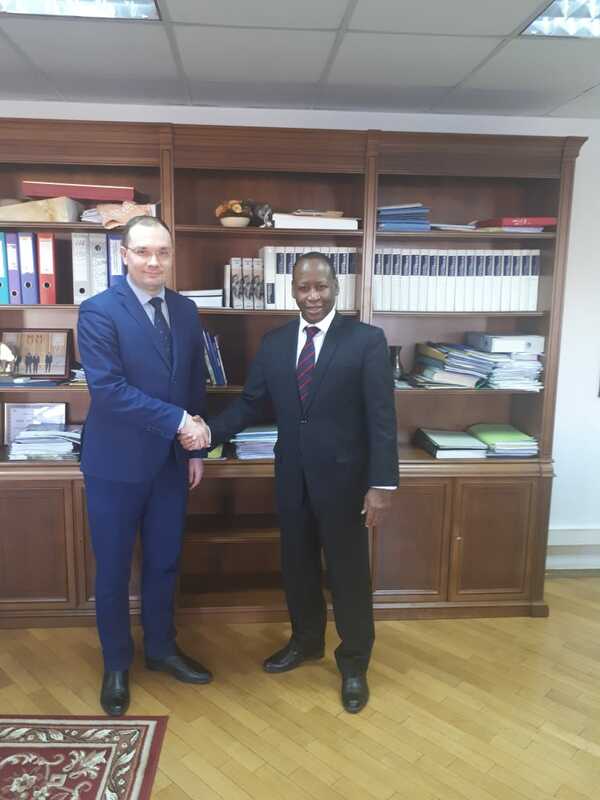 Vice-Rector for social work of Ural State University of Economics Roman Krasnov held talks in Moscow with the Ambassador Extraordinary and Plenipotentiary of the Republic of Senegal to the Russian Federation, Mr. Abdul Salam Diallo. The parties discussed further stages of cooperation between USUE and the Republic of Senegal. Mr. Ambassador reaffirmed his participation in the work of the upcoming X EEYF, adding that the delegation would also include the minister-counselor of the Republic of Senegal in the Russian Federation, Mr. Suleiman Anta Ndiaye, who oversees matters related to higher education. 620144, Yekaterinburg, 8 Marta street, 62.